May 21, 2018 January 22, 2019 Things To Do in Salem, Ma - Attractions, Museums, Fun, Free, & More! 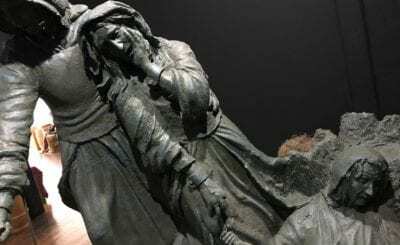 The Salem Witch Museum is, without a doubt, the central Witch Trials attraction in Salem Massachusetts. The large, gothic building was originally constructed in the 18th century. It also has peripheral historical connections to The Salem Witch Trials themselves. 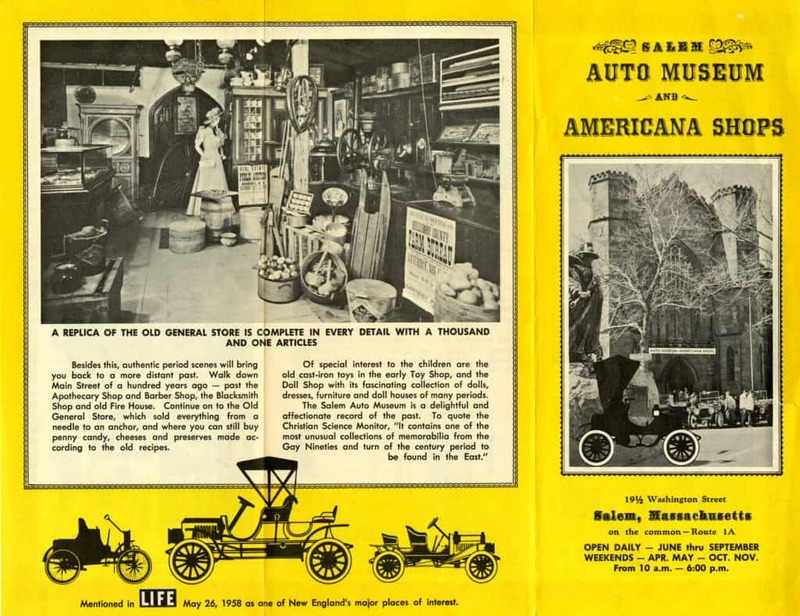 The building transitioned from a handful of churches to an auto museum with local shops before becoming The Salem Witch Museum in the 1970’s. The Salem Witch Museum features a lobby with interesting historical information, one primary exhibit, one installation, and a gift shop. The main exhibit takes place in the large central room. A series of tableaus surrounds museum guests, each featuring a scene from the witch trials. A voiceover narrates the journey from the first cry of the word, “Witch,” to the end of the trials. As the story progresses, the tableaus are sequentially lit, allowing visitors to follow along. 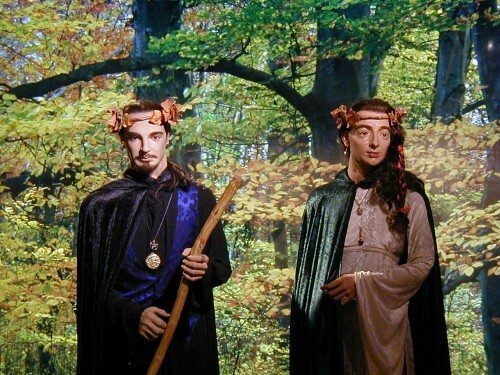 An installation has been in the back room since the 1990’s called, “Witches: Evolving Perceptions.” It features cultural depictions of witches throughout the ages and compares their Pagan roots. It also explores the idea of witch hunts by drawing connections to historical movements like McCarthyism and Japanese Internment. 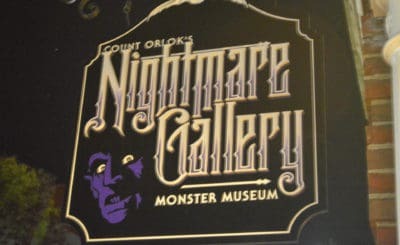 The Salem Witch Museum’s gift shop features a collection of mementos from the site as well as Salem itself. There is a rack of brochures on the left as you exit the building. You can find out much more about the history of The Salem Witch Museum by watching our in-depth exploration of the building. 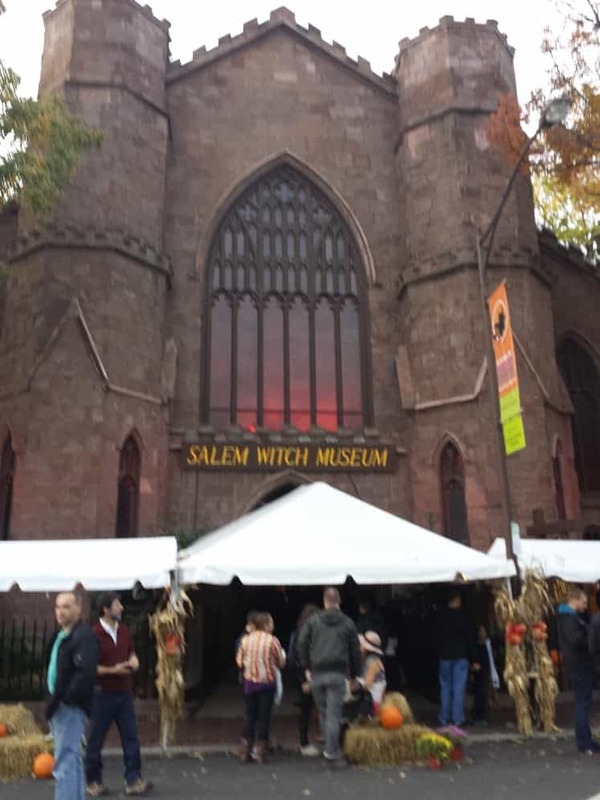 The Salem Witch Museum is open all year from 10am to 5pm, 10am to 7pm in July and August, and later during October (check out their website for specific times during Haunted Happenings).They also close on Thanksgiving, Christmas, and close at 3pm on New Year’s Day. Adult tickets are $12, Senior Citizen $10.50, and Children $9. Tickets are available online or at the door.